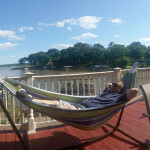 Everyone have different ideas about what to do when renting a vacation home like Sunny Mornings at Cedar Creek Lake. You don’t go away on vacation just to watch TV, but if it is raining that could be a nice alternative. Or you might want to watch a movie at night. We have four modern TV:s in the house, three of them have access to cable through a Tivo. The service includes HD channels. In the living room we have a 55 inch flat screen with cable/Tivo, a Blu-Ray player and an XBox 360. Here you also find a library of DVD and Blu-Ray movies. In the master bedroom there is a 32 inch flat screen TV with cable/Tivo, and in the downstairs King Bedroom there is a small flat screen TV with a Roku 3 streaming media player. Finally in the upstairs TV room we have a 36 inch flat screen TV with cable/Tivo, a Blu-Ray player and a game console (Nintendo Wii), together with a library of games. The Blu-Ray players can of course also play DVD titles and access different streaming services like Netflix, Hulu, Amazon Prime, Youtube and much more. We have a collection of Blu-Ray and DVD movies and TV shows for the enjoyment of our guests. We have a Netflix account setup specifically for the house so you can watch your favorite movies and tv shows. It is installed on the Tivo box in the master bedroom, on the Tivo box in the living room, on the Roku in the King bedroom and on the Tivo in the upstairs TV room. Fast internet access is one of the things we ourselves require even when on vacation. Nothing is as irritating as not being able to look up something on Google or Wikipedia during a discussion. And it also comes in handy when watching Youtube videos. We provide a couple of Bose portable wireless speakers that you can connect to your smartphone or laptop using Bluetooth. That way you can enjoy your own music and don’t have to worry about bringing additional equipment from home. We just ask that you put the speakers back on charge when you leave so the next guests can enjoy them as well. 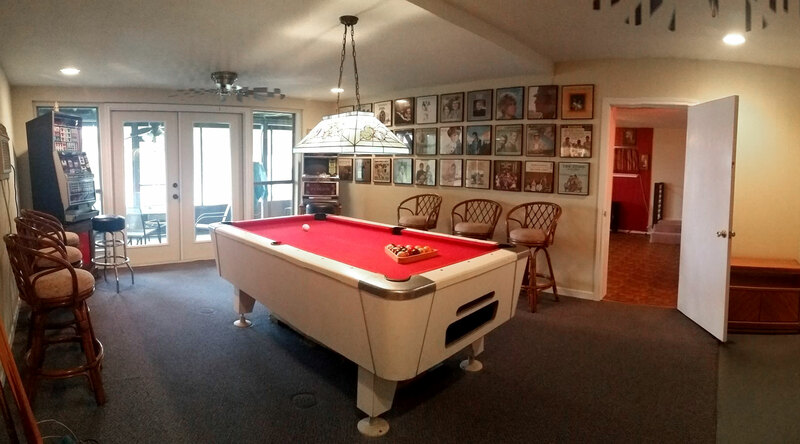 On the lower floor we have a game room with a pool table, balls and equipment. 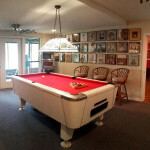 It also features a vintage Las Vegas slot machine and a poker machine. We even provide the key so you can retrieve your coins before you leave. 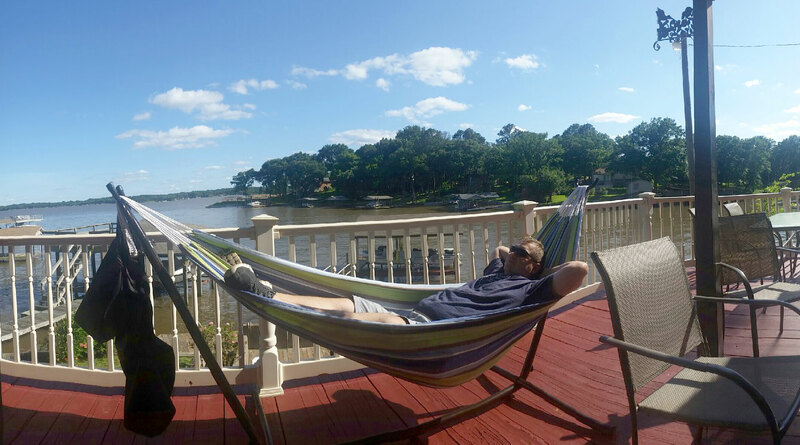 We have three hammocks so you can lay and relax, enjoy the view and listen to the waves hitting the shore. Or perhaps read a book or listen to music. They are all easy to move around to the perfect location.